AJ has not yet committed to a school. I am a very coachable, and dedicated multiple sport athlete that loves to work hard on and off the field to get better at everything I do. I started playing lacrosse in the 4th grade. I have been playing goalie for 4 years. 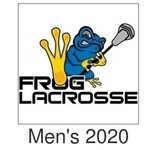 I have been playing club lacrosse with Frog lacrosse for 3 years now playing at the 2020 level, I am a very calm, collected, and team-oriented player. This year for my high school team I started all JV games and backed up all varsity games. I played about a game and a half at the varsity level because we had a senior starter. I play on the JV hockey team as a goalie in the offseason. 2017 Notre dame all star game. I also attended adrenaline ACPG in summer of 2017. 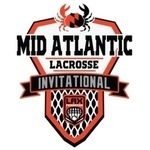 Lax fed mid Atlantic invitational all star game. For a full evaluation of AJ's athletic, academic and character profile, please message directly.